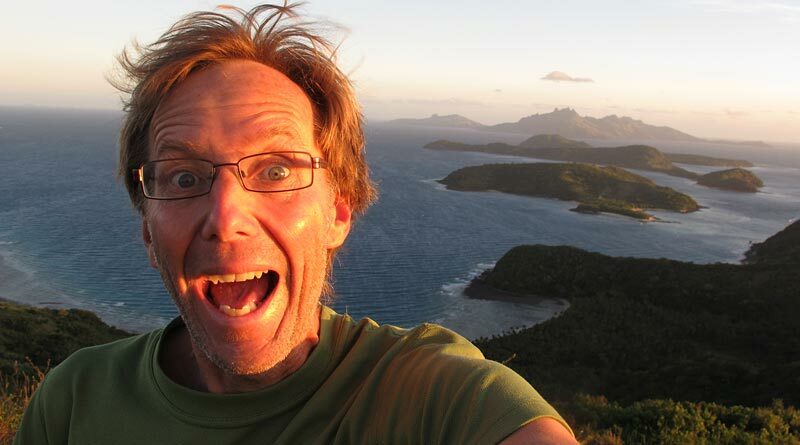 The author appears overcome by the scenery in Fiji’s Yasawa Islands. Kia ora and welcome to Ramblings, a fairly random collection of travel yarns, stories and photographs by Peter de Graaf. I’m a newspaper reporter/photographer and occasional travel writer based in Kerikeri, a town of about 6000 people in New Zealand’s Far North. When I’m not tinkering with this blog I work for the Northern Advocate, a regional daily paper based in the city of Whangārei. 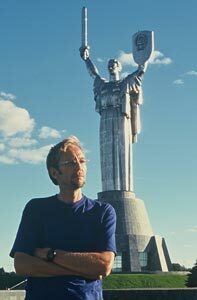 The author in Kyiv, Ukraine. Before shifting to Kerikeri I lived in Napier, also on the North Island’s east coast but about 650km south, where I worked for the regional daily Hawke’s Bay Today. I made the switch to journalism in 2001 after returning from what was supposed to be a six-month trip overseas but somehow lasted 12 years. In that time I made a brief and spectacularly unsuccessful attempt to live and work in the UK; spent a few years in Amsterdam, getting to know the land of my ancestors; and accidentally ended up in what was then still Czechoslovakia. I stayed for seven years, teaching at Anglo-Czech High School in a town called České Budějovice, where I forged some wonderful friendships and a fascination for the post-communist world. During school holidays I travelled as far as my wallet would allow. My personal highlights were Central and Eastern Europe (especially the Czech Republic and Slovakia, plus Albania, Romania and pretty much anywhere else in the Balkans), the much maligned Middle East (especially Syria and Iran), Laos (possibly the most laid-back country on Earth) and the shambolic, scenic Caucasus states of Georgia, Armenia and Azerbaijan. 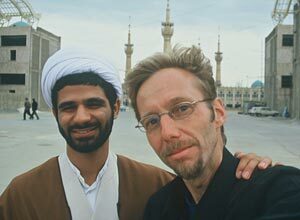 The author and friend in Qom, Iran. More recently I’ve grown to love New Zealand’s South Pacific neighbourhood with trips to Vanuatu, Tonga, Samoa, the Cook Islands, Fiji and American Samoa. In 2016 I returned to the Netherlands and the Czech Republic on what I dubbed the Favourite Aunties and Old Comrades Reunion Tour. While there I also went to a cousin’s wedding in Rwanda, dropped in to see an old flatmate now living in Ethiopia, and visited a country in Eastern Europe that doesn’t officially exist. I kept a separate blog about that trip which you can read here. If you want to contact me, enquire about using a photo or a story, etc, please flick me an email at peterdg@gmail.com or use the contact form at the bottom of this page. 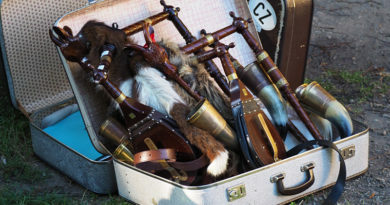 Some stories on this website have previously been published in the travel section of the New Zealand Herald, in the New Zealand Listener, the Northern Advocate and other publications. Most, however, were written for my personal enjoyment or as a way of holding on to travel memories. Blogging has become a valuable creative outlet for me as media budget cuts, closures and centralisation have made it increasingly difficult to get stories into print. Stories vary from a 3700-word epic on Czech beer (the editor who turned it down said it was “too obsessive”; he probably had a point) to short musings about Georgia’s cemeteries. You’ll also find a heap of stories about hiking, waka (traditional Maori canoes), Pacific islands and all sorts of weird and wonderful stuff such as the tale of the Czech president’s underpants. Eventually I hope to add the photo galleries that were on my old website, and more, but first I’ll need to find a way of getting my old slides re-scanned. This is the fourth iteration of my personal website/travel blog and the first time I’ve tried using WordPress. Previous versions were built from scratch in HTML or using FrontPage (arghh!) or Dreamweaver. Back in the mists of time (2003 to be more exact) I was named the best junior newspaper feature writer in the Qantas Media Awards, New Zealand’s premier print media competition, for what the judges called a “wide-ranging portfolio characterised by particularly fine writing and compelling curiosity”. 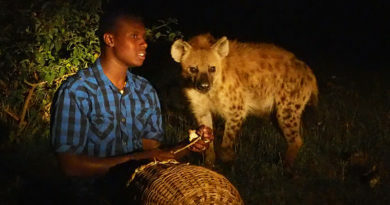 In the 2008 awards I was named best travel and tourism columnist for a story called Journey to the end of the map about a road trip to Pawarenga, an isolated coastal settlement in northern New Zealand. In 2011 my first-person account of two mass whale strandings was the runner-up in the science and technology category of the senior feature writing award. Olympian Blair Tuke is mobbed by young fans. My photo of medal-winning Olympic sailor Blair Tuke being mobbed by children from Kawakawa Primary School won the award for best community newspaper sports photo in the 2013 Pacific Area Newspaper Publishers’ Association Awards. This greatly amused my colleagues because, as anyone who knows me can attest, I have zero understanding of sport. In the 2016 Cathay Pacific Travel Media Awards, organised by Travcom (New Zealand Travel Communicators), I won the prize for best image capturing the essence of Maori for a photograph of two kaihoe (paddlers) exchanging a hongi (traditional Maori greeting) during Waitangi Day festivities on Ti Beach, Waitangi. I was also the runner-up in the same category for a photo of two warriors sharing a light-hearted moment during commemorations of the 170th anniversary of the Battle of Ruapekapeka Pa, near Kawakawa, and runner-up for the best story about a Maori experience for a feature about Queen Victoria’s Maori godson. In the same awards in 2015 I was runner-up in the best story about a journey for Doing the island hop. I was given advice and assistance building this version of Ramblings by Jo and Steven Gardner of Deepweb and Jo Danilo of Bread and Butter Collective in Kerikeri, New Zealand. I was helped with previous versions by Donna Russell of e-Builders in Whangarei, and by Iva and Kryštof at DECROS in České Budějovice, the Czech Republic. I’m also grateful to Michal Tůma and Dana Vitásková of FotoMida, in Benešov nad Černou in the Czech Republic, and Han Sieveking in Amsterdam, the Netherlands, for photographic advice and encouragement. The initial inspiration, however, came from staff and students of Anglo-Czech High School in České Budějovice and Lex from Amsterdam. Mockrát děkuji/dank je wel!